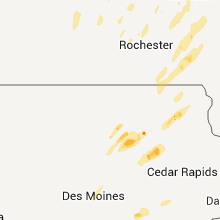 The Waucoma, IA area has had 2 reports of on-the-ground hail by trained spotters, and has been under severe weather warnings 4 times during the past 12 months. 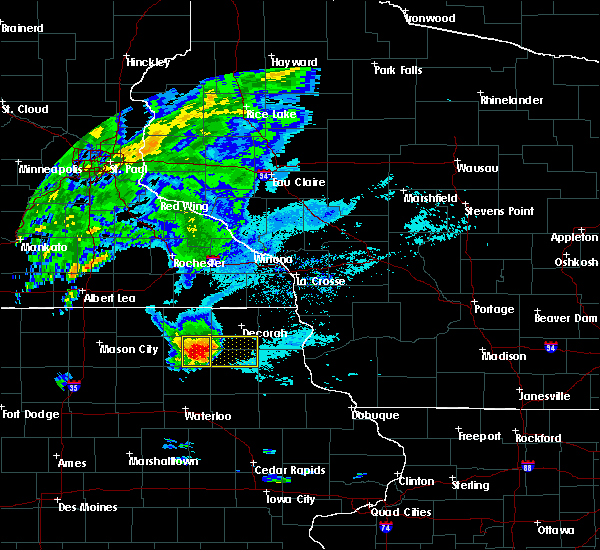 Doppler radar has detected hail at or near Waucoma, IA on 24 occasions, including 3 occasions during the past year. 8/28/2018 9:54 AM CDT At 953 am cdt, a severe thunderstorm was located near ossian, or 9 miles northeast of west union, moving east at 50 mph (trained weather spotters. 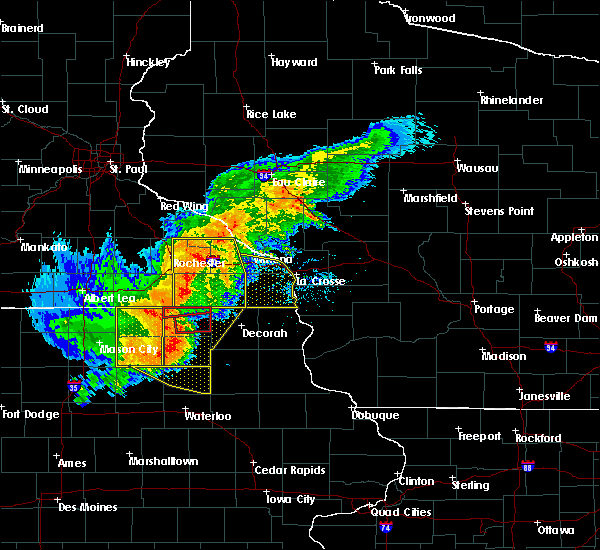 at 952 am cdt was reported just east of waucoma. this storm also has a history of producing wind damage to trees and power lines). Hazards include golf ball size hail and 60 mph wind gusts. People and animals outdoors will be injured. expect hail damage to roofs, siding, windows, and vehicles. expect wind damage to roofs, siding, and trees. this severe thunderstorm will remain over mainly rural areas of northern fayette and southern winneshiek counties, including the following locations, castalia, st. Lucas, jackson junction, festina and eldorado. 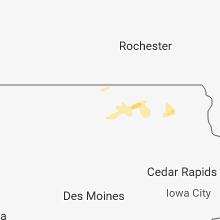 8/28/2018 9:34 AM CDT At 934 am cdt, a severe thunderstorm was located over waucoma, or 12 miles northwest of west union, moving east at 55 mph (trained weather spotters. at 928 am cdt, golf ball size hail was reported near new hampton. this storm also has a history of blowing down trees). Hazards include golf ball size hail and 60 mph wind gusts. People and animals outdoors will be injured. expect hail damage to roofs, siding, windows, and vehicles. expect wind damage to roofs, siding, and trees. this severe thunderstorm will be near, west union and calmar around 945 am cdt. ossian around 950 am cdt. clermont and elgin around 955 am cdt. other locations impacted by this severe thunderstorm include castalia, st. Lucas, jackson junction, festina and eldorado. 6/9/2018 6:30 PM CDT At 629 pm, severe thunderstorms were located along a line extending from near fort atkinson to near sumner, moving east at 30 mph. these storms will move through the county during the next hour (trained weather spotters). Hazards include 70 mph wind gusts. Expect tree damage. damage is possible to mobile homes, roofs, and outbuildings. 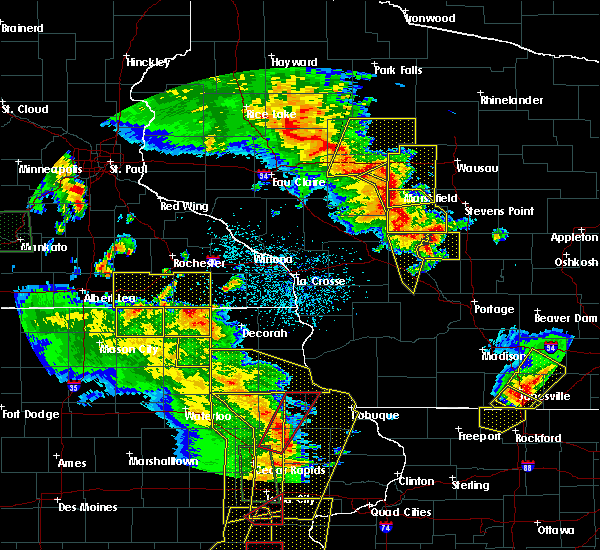 these severe storms will be near, maynard around 645 pm cdt. fayette around 700 pm cdt. west union around 705 pm cdt. clermont around 720 pm cdt. elgin around 725 pm cdt. 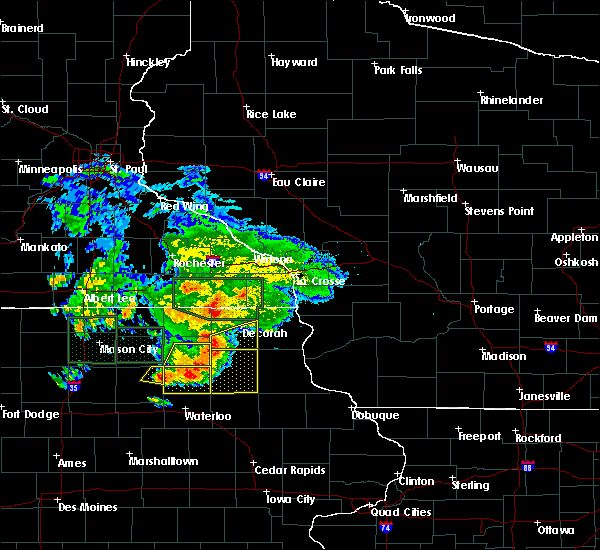 other locations impacted by these severe thunderstorms include wadena, westgate, st. Lucas, randalia and donnan. 6/9/2018 6:07 PM CDT At 606 pm cdt, a severe thunderstorm was located over fredericksburg, or 8 miles southeast of new hampton, moving east at 25 mph. 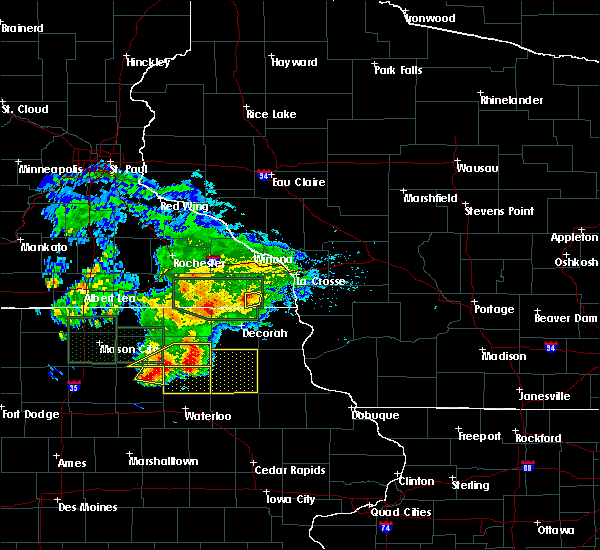 another cluster of storms was moving in from bremer county as well (emergency management). Hazards include 70 mph wind gusts. Expect considerable tree damage. damage is likely to mobile homes, roofs, and outbuildings. 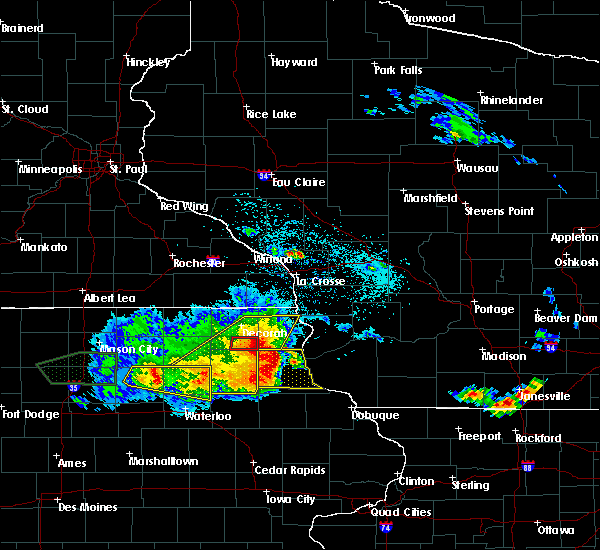 this severe thunderstorm will be near, waucoma around 625 pm cdt. 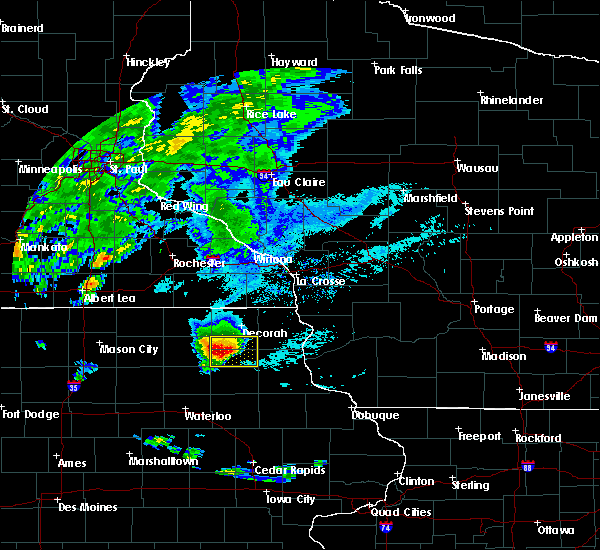 hawkeye around 640 pm cdt. west union and fayette around 655 pm cdt. clermont around 715 pm cdt. elgin around 720 pm cdt. other locations impacted by this severe thunderstorm include wadena, westgate, st. lucas, randalia and donnan. 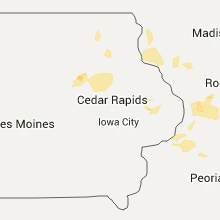 A tornado watch remains in effect until 1000 pm cdt for northeastern iowa. 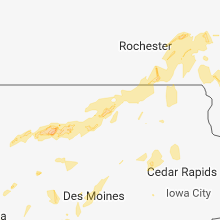 5/17/2017 7:02 PM CDT At 701 pm cdt, severe thunderstorms were located along a line extending from near clermont to near dyersville, moving northeast at 65 mph (trained spotter. 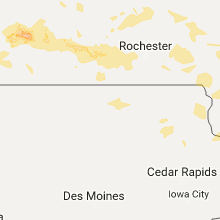 a report of near 70 mph was received near edgewood just before 7 pm). Hazards include 70 mph wind gusts. Expect considerable tree damage. damage is likely to mobile homes, roofs, and outbuildings. 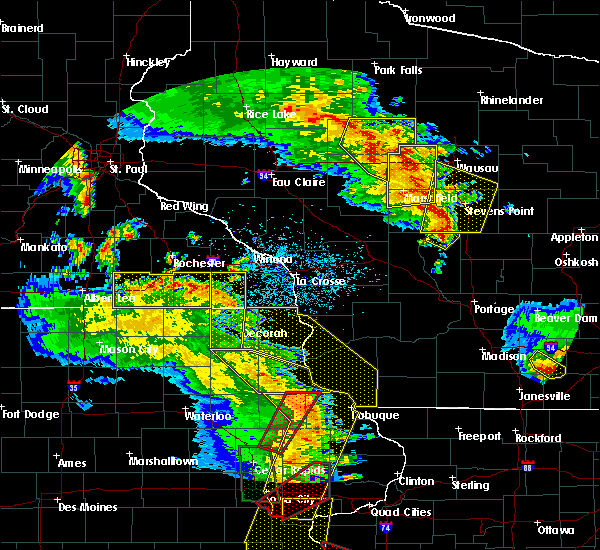 these severe storms will be near, guttenberg around 715 pm cdt. 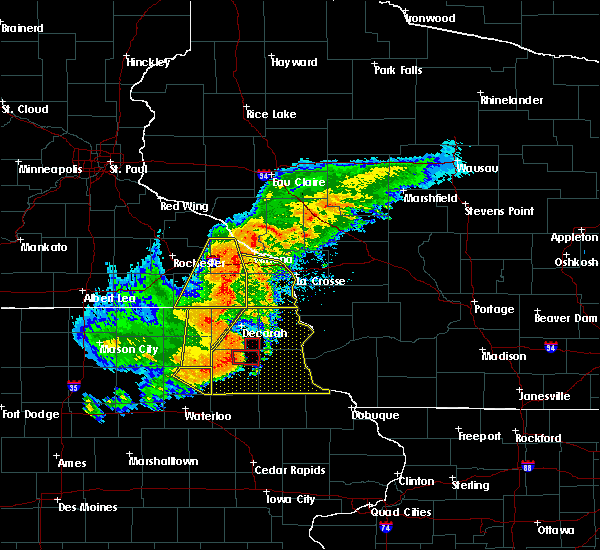 other locations impacted by these severe thunderstorms include wadena, st. lucas, north buena vista, st. olaf and garber. 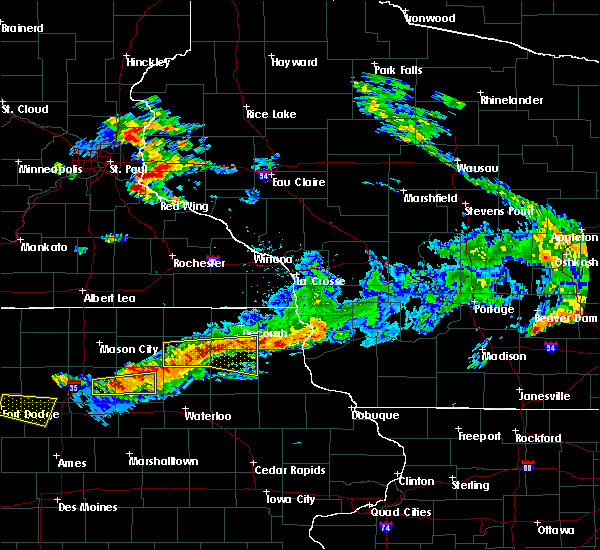 A tornado watch remains in effect until 1100 pm cdt for northeastern iowa, and southwestern wisconsin. 5/17/2017 6:41 PM CDT At 641 pm cdt, severe thunderstorms were located along a line extending from near maynard to near prairieburg, moving northeast at 45 mph (law enforcement). Hazards include 70 mph wind gusts. these storms have a history of wind damage. Expect considerable tree damage. damage is likely to mobile homes, roofs, and outbuildings. 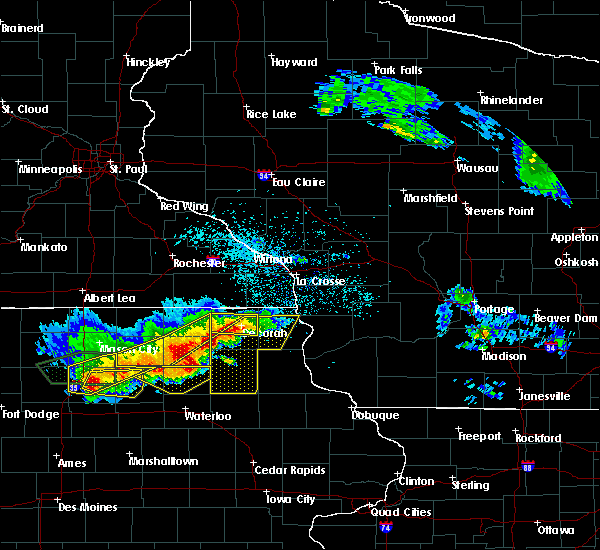 severe thunderstorms will be near, maynard around 645 pm cdt. fayette around 650 pm cdt. 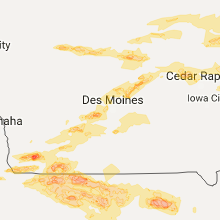 hawkeye around 655 pm cdt. west union around 700 pm cdt. elgin around 705 pm cdt. clermont around 710 pm cdt. guttenberg around 735 pm cdt. other locations impacted by these severe thunderstorms include wadena, westgate, st. lucas, north buena vista and st. olaf. 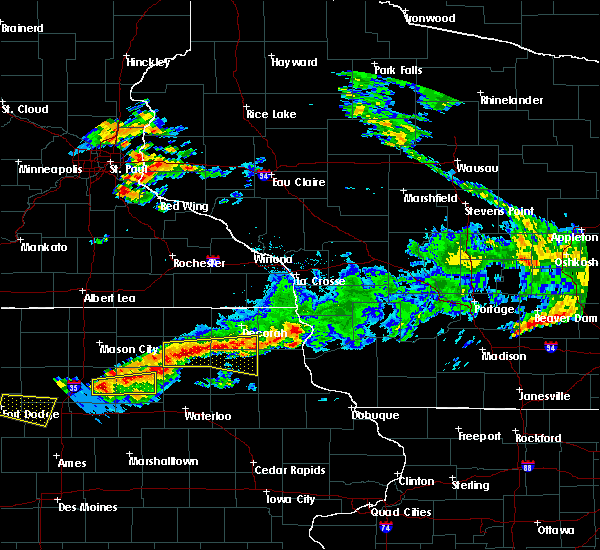 A tornado watch remains in effect until 1100 pm cdt for northeastern iowa, and southwestern wisconsin. 5/26/2016 5:39 AM CDT At 536 am cdt, severe thunderstorms had moved out of the area but winds continued to gust in the 35 to 55 mph range (trained weather spotters). Hazards include 60 mph wind gusts. Expect damage to roofs. siding. and trees. The warning will be allowed to expire at 545 am. 5/26/2016 5:24 AM CDT At 523 am cdt, severe thunderstorms were located along a line extending from 6 miles north of postville to near mcgregor, moving northeast at 70 mph (trained weather spotters reported wind gusts of 40 mph at edgewood and 62 mph at oelwein. both of these were well behind the storms). Hazards include 60 mph wind gusts. Expect damage to roofs. siding. and trees. these severe thunderstorms will remain over mainly rural areas of western clayton and fayette counties, including the following locations: luana, wadena, westgate, st. lucas and st. Olaf. 5/26/2016 5:06 AM CDT At 506 am cdt, severe thunderstorms were located along a line extending from near west union to elkader, moving northeast at 55 mph (airport reported. a gust to 62 mph was recorded at oelwein just before 5 am). Hazards include 60 mph wind gusts. Expect damage to roofs. siding. and trees. 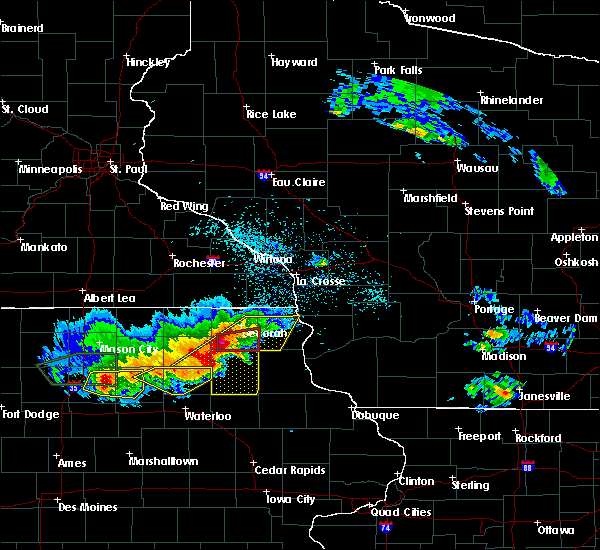 these severe storms will be near, elkader around 510 am cdt. farmersburg around 515 am cdt. 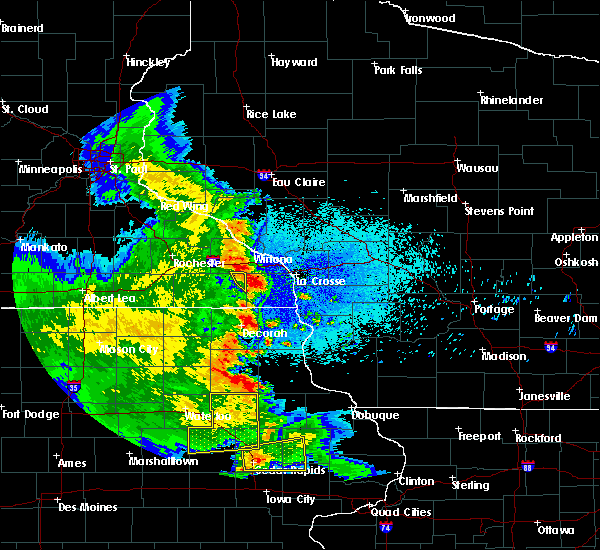 postville and monona around 520 am cdt. other locations impacted by these severe thunderstorms include luana, wadena, westgate, st. lucas and st. Olaf. 5/26/2016 4:52 AM CDT At 452 am cdt, severe thunderstorms were located along a line extending from hawkeye to near volga, moving northeast at 65 mph (radar indicated). Hazards include 60 mph wind gusts. Expect damage to roofs. siding. and trees. 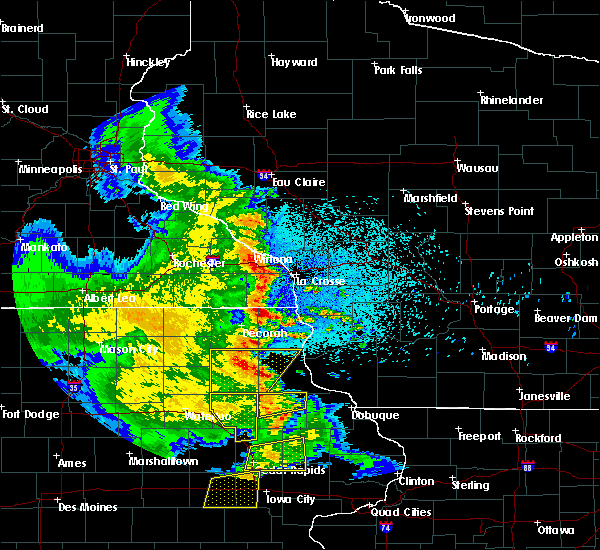 severe thunderstorms will be near, elkader around 500 am cdt. farmersburg around 505 am cdt. 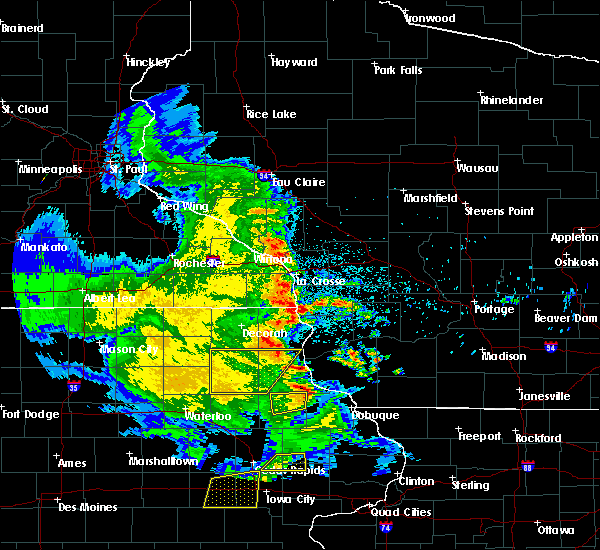 postville and monona around 515 am cdt. 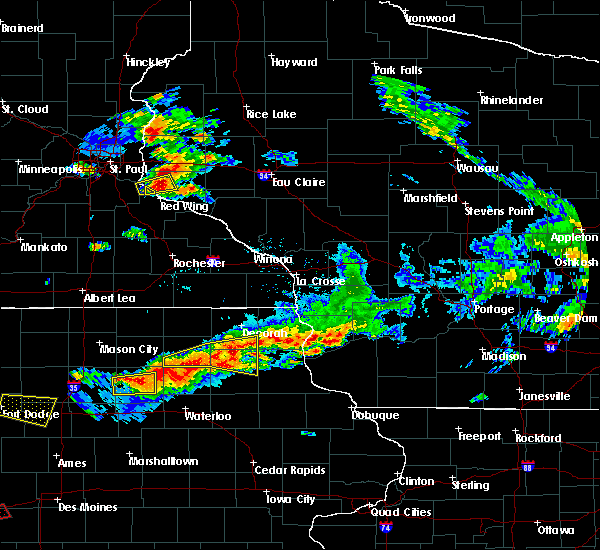 other locations impacted by these severe thunderstorms include luana, wadena, westgate, st. lucas and st. Olaf. 6/22/2015 7:58 AM CDT At 758 am cdt, severe thunderstorms were located along a line extending from near lansing to near sumner, moving southeast at 25 mph (radar indicated). Hazards include 60 mph wind gusts. Expect damage to roofs. siding and trees. 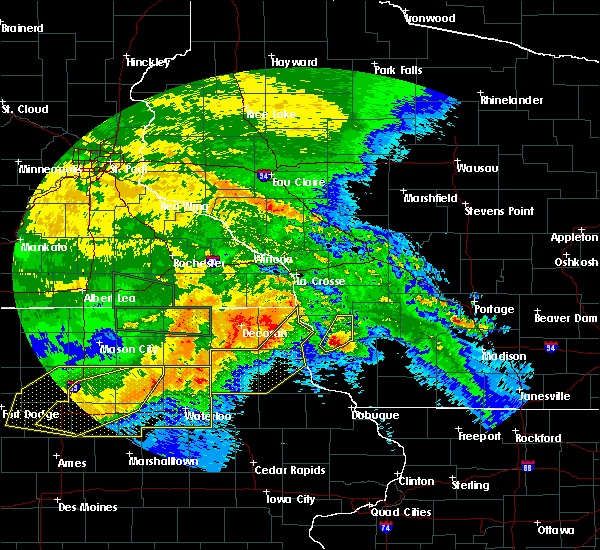 severe thunderstorms will be near, fayette around 815 am cdt. maynard around 820 am cdt. oelwein and harpers ferry around 835 am cdt. 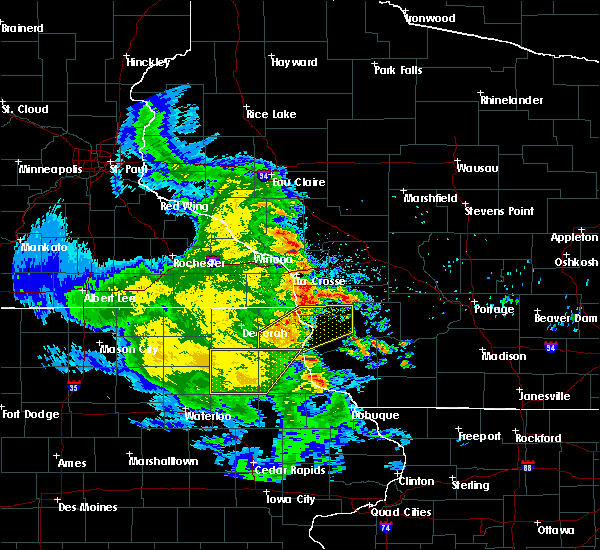 stanley around 845 am cdt. 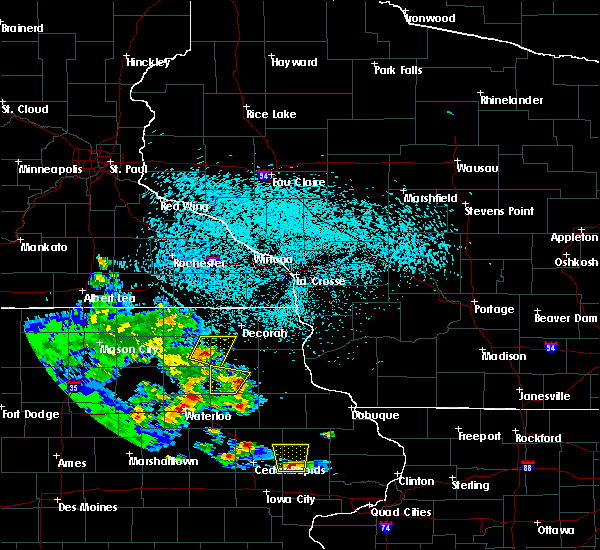 prairie du chien, marquette and mcgregor around 855 am cdt. Other locations impacted by these severe thunderstorms include hardin, luana, wadena, westgate and waterville.